In 1955, eleven members of two families living in a rural farmhouse between Kelly and Hopskinville, Kentucky reported numerous encounters with unidentifiable creatures. 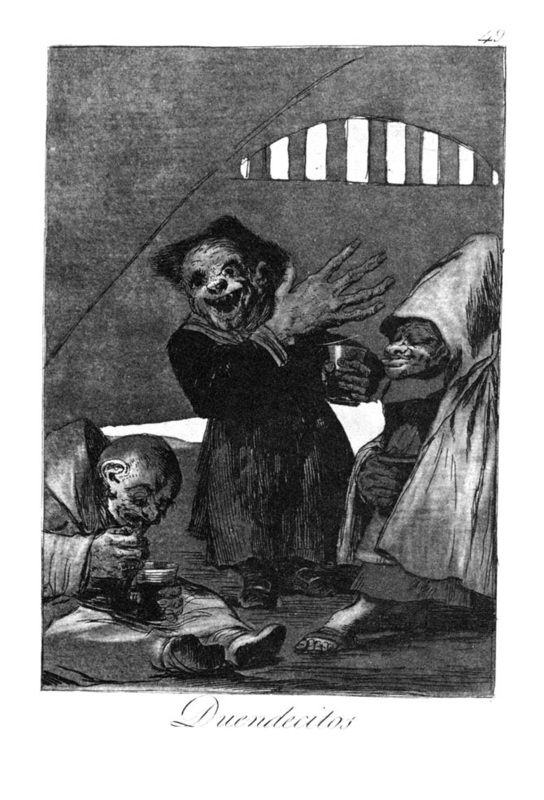 In addition to lights and odd noises heard by witnesses nearby, the families claimed that they were terrorized by little creatures similar to goblins or fearsome gremlins. They were described as being three feet tall, thin, with long arms and claw-like hands, and with pointed ears. They were silvery in color and were said to float, trudge as though underwater, and then make sudden appearances outside windows and doorways. Although at first two members of the party had attempted to shoot and then find them, eventually they retreated to the house. The creatures did not enter the house (the family dog was hiding underneath in terror) but they continued to appear throughout the evening. Ultimately the families, including screaming children, made a midnight dash to the police station. Here’s where it gets weird: the families returned to the farmhouse with the sheriff and twenty of his men. Evidence of struggle and damage to the house was obvious, but the officers reported seeing a strange green glow at the edge of the woods beyond the property. They interviewed neighbors who affirmed odd noises and lights, and even the police saw strange lights and heard odd noises while at the property. After the police left, the creatures returned and continued to harass the family until the break of day, when they disappeared, never to return again. Excerpted from my new book: Fairies, Pookas, Changelings: A Complete Guide to the Wild and Wicked Enchanted Realm, available April 1, 2017. This entry was tagged fairies pookas and changelings, hopskinville goblins, Varla Ventura, Weiser Books. Bookmark the permalink.